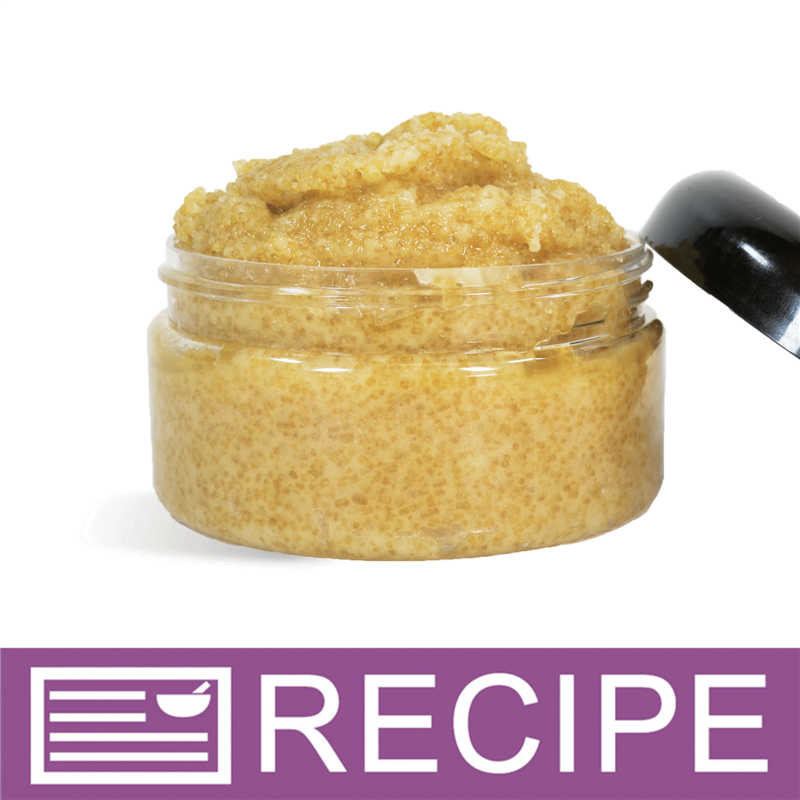 Coffee Butter is an extremely popular butter to add to your soap, lip product and skincare recipes. Coffee Butter, made from real coffee seed oil, exhibits excellent spread-ability on the skin, making it ideal as a massage butter. Pairs amazingly with caffeine extract and coffee fragrance oils. To add moisturizing properties and label appeal to products. Contains Coffea Seed Oil, thought to block enzymes harmful to skin destruction. 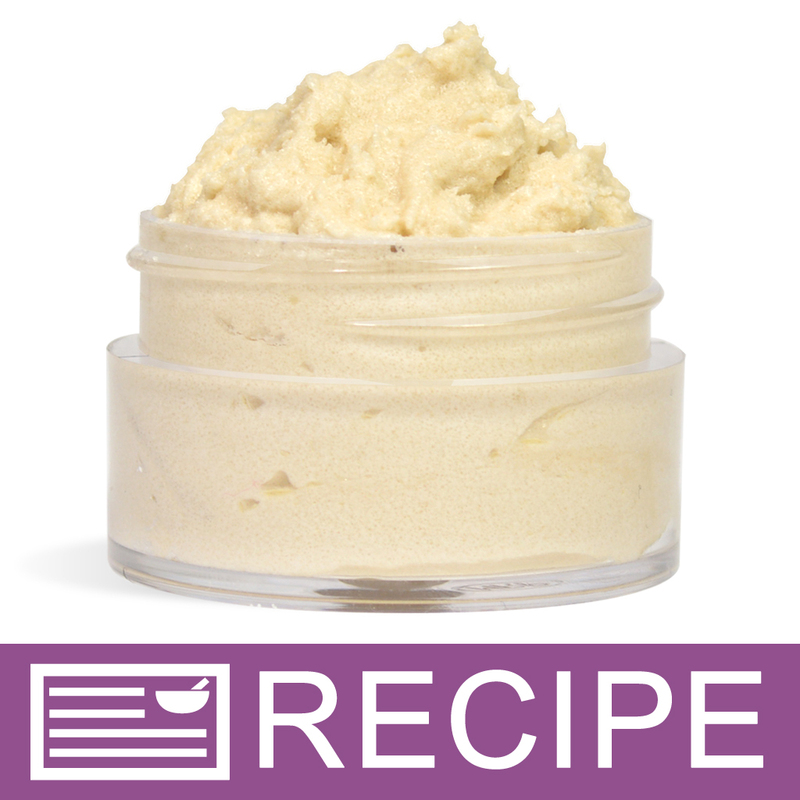 Exhibits excellent spread-ability on the skin, making it ideal as a massage butter. It adds moisturizing attributes to creams and lotions and bar soaps. All Natural. Average Melt Point: 104º F.
TIPS: The average melting point for the butter is 104°F. Butters provide moisturizing properties to products. To minimize greasy after feel we recommend blending with 1-3% cornstarch or isopropyl myristate. Test your final product to insure optimal performance. COMMENTS: Absolutely amazing product! We used this instead of Shea Butter for a hand balm. We combined it with a caramel fragrance for an Irish Cream balm for St. Patty's day. Will ABSOLUTELY buy again! COMMENTS: This smells so nice, it could be the real thing. Nice in body butter. Glides on smoothly. COMMENTS: The scent is wonderful, very smooth and silky. COMMENTS: I love the scent of this lovely coffee butter blend! It is great and very scented and lovely. COMMENTS: Used to make a body polisher. Did not need to add fragrance. Smelled true to coffee which was the scent I was looking for. COMMENTS: I absolutely love the smell! It smells just like coffee. As soon as I opened the jar I chased everyone in the family to make them smell it lol. COMMENTS: Love this butter smells just like coffee used a few time in my coffee soap will continue to purchase this butter. COMMENTS: I have not used this yet but intend to make body scrubs with it. It has a strong coffee aroma that will be nice paired with some softer notes like vanilla, or maybe honey. COMMENTS: I really liked the smell of the coffee butter. 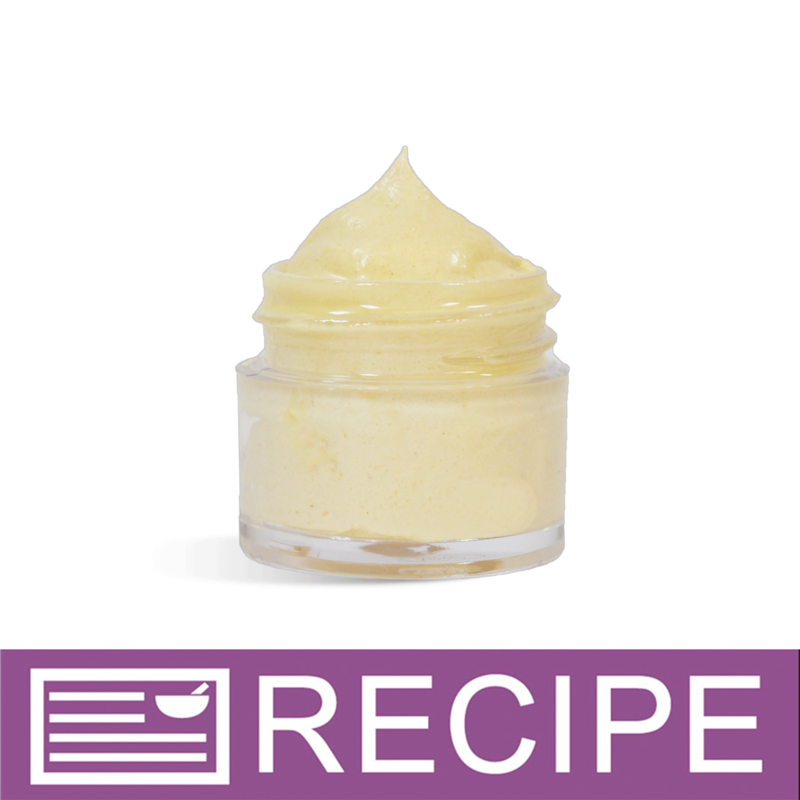 I used it as a replacement in my standard lip balm recipe; but the lip balm wasn't as smooth and creamy as my original recipe. I did add chocolate to make "mocha" lip balm and pure vanilla extract to make a batch of "vanilla espresso" and my customers loved both of these. COMMENTS: I use this coffee butter in several of my products, including lip balm, sugar scrub and body butter. I sell out every time I make them! It smells so good, and the scent comes through very well in the finished product. COMMENTS: I really love this coffee butter. I live in the tropics, and this arrived in a semi solid form, unlike others that have arrived in liquid form. Has a real coffee smell, and does wonders for the skin. I use it alone and mixed with other butters for luxurious skin care. Highly recommended! COMMENTS: I love this butter! It smells just like fresh brewd coffee and I am going to make wonderful things with it. COMMENTS: Great for scrubs and exfoliants in the morning! COMMENTS: This butter smells so good! Will be adding it to my coffee soap today. Feels yummy! ""For the love of Coffee""
COMMENTS: Love Love Love this butter!! I purchased some coffee butter from another supplier and thought I was pleased until I tried WSP coffee butter! I love the texture of this butter wayyy better! It comes with a hint of coffee smell and holds up great! My other butter melted wayyy to fast for me in a heated environment . I tried the samples at first and fell in love and had to reorder a larger amount! I love the benefits coffee butter has and this is a great place to order some from! COMMENTS: Such a good butter, but smells DELISH!!! It's not overpowering coffee scent, but enough to be really good and add a nice hint of coffee in lip balm bases. "Love this additon to my lotions"
"Nice feel and coffee smell"
COMMENTS: I use this to make coffee lip butters. It feels great on the lips and has a nice scent. COMMENTS: Smells good. Very moisturizing. "Love this butter blend! " COMMENTS: I've never used coffee butter before. I was making a Coffee Cold process soap and thought it would be a good time to try it. I love it! The smell is amazing, it's very creamy and held up well in my soap. I will be purchasing more. COMMENTS: Very strong coffee butter. Will be adding this to my new line! COMMENTS: I love how well the coffee butter blends into my products. It has a strong coffee aroma and is loved by all of my coffee drinking customers. COMMENTS: My 10 year old daughter wanted to lick this from the container. It has a wonderful scent! "The best base butter for my men's line"
COMMENTS: I used this in my men's line of products and the smell is just delicious! No need to add fragrance, only EO's and whatever it calls for in your recipe. Goes on clean and smooth feeling! A must have for my men's line! COMMENTS: I used this for my sugar scrub. Oh my when I first opened the jar I wanted to get a spoon and eat it. I keep opening the jar just to smell it! It blended well with all the other butters and oils in my scrub and gave my scrub the best texture and smell. I end up making myself a cup of coffee when I work with it. My customers are loving it as much as I am. It comes in an easy to open and scoop out jar. Thanks WSP for such a wonderful product. COMMENTS: I can't stop smelling it yum, just like fresh coffee!! I bought this for the lip scrub recipe. I love it and I can't wait to try it in other products. "Scent is a dead ringer"
COMMENTS: Smells SO good - exactly like coffee and no artificial weird smells. I tried making a body butter out of it. I personally liked it but it did not sell well. • The smell is incredible! COMMENTS: I used this in the Morning Coffee Lip Scrub. The scent is amazing! Just like a fresh cup of coffee! Love the texture of this as well. Easily scooped out of jar. "So many uses for this one"
COMMENTS: I've used this in a coffee lotion and an under eye cream. customers love it. Has a medium coffee scent in finished product. "Like a rich cup of coffee"
COMMENTS: This smells wonderful, I use it for a coffee scrub and have had great feedback from those who use it. 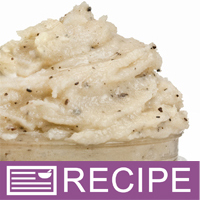 It's a nice thick creamy consistency and blends well with other butters. COMMENTS: Delicious! Wonderful! I made the "Morning Coffee" lip scrub using this lovely product and every one of my customers love it! I opened the jar and it was coffee nirvana! It is definitely good enough to eat!!! COMMENTS: Excellent Fresh Product! This product is much better than what I bought someplace else. The other product arrived hard and all dried out. This is fresh and scoop-able! WSP wil be my supplier for refills!! This smells so good I want to eat it! COMMENTS: Smells just like coffee. Felt great on my skin. Absorbed quickly and left skin smooth and soft! Definitely would get again! COMMENTS: Love the aroma and ease of use with this butter. Nicely scented, no need to add another scent. "Not confident about CP use"
COMMENTS: Since I can't calculate this on soap calc I will try it for body butters. Nice smell and texture and good value on sale. COMMENTS: Really nice Smell and feel! COMMENTS: Not what I expected! A little disappointed with this one. It does not resembles coffee flavor or aroma. It is made with hydrogenated vegetable oil and that is not something I am a fan of. COMMENTS: I added some to my coffee scrubs. The natural aroma and coffee properties give a nice touch to my products. I will be ordering more! COMMENTS: This is the best coffee butter! I use it to superfat my HP coffee soap. It smells incredible, I don't even have to use a fragrance oil. 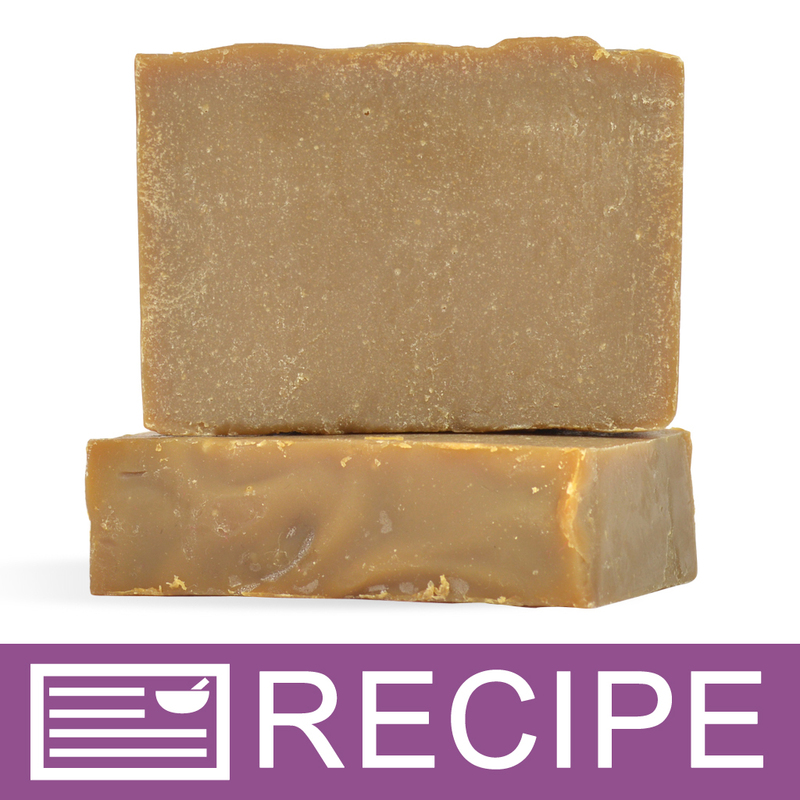 "love properties of this butter blend"
COMMENTS: Natural scent is amazing, like real coffee. Do not need to add extra FO. "Amazing smell. I couldnt get enough. " COMMENTS: Performed well in my coffee soap. I used 8 ounces in my 5 pound batch. I also used 12 ounces of cocoa butter to give it a nice chocolate/coffee smell. I also used 2 ounces of coffee bean fragrance oil. It smells so wonderful. My family said it smells like a cappuccino So that is what I named it. COMMENTS: Love the way this butter feels! COMMENTS: I could not wait to get my hands on this Coffee Butter! Well let me tell you it was worth the wait. I just finished making a sugar lip scrub with it. I am so very impressed with how easy it is to work with and the smell was good that I made a cup of coffee as I worked. I wanted to eat it! I ordered more so I can put some in my Cold process soaps. This will be a main staple on my shelves. Thank you for selling this super Coffee Butter!! Please don't ever stop carrying it. "Crafters Choice™ Coffee Butter Blend "
COMMENTS: I used this butter for the first time making the Morning Coffee Sugar Lip Scrub on this website. I am in LOVE with it and had to force myself not to stick my nose in the jar it came in for fear of suffocating - oh, but what a way to go . . . It's just plain YUMMY in every way and for a coffee-holic like me - it's NIRVANA. And that was just my first reaction after opening the jar. It's a dream to work with (smooth, creamy and easy to mix with other elements) and it FEELS luxurious and slightly decadent to use. I can't wait until I can afford to purchase in a larger quantity (although it's worth every penny, that's a whole lot more pennies than I have right now), so I can make all the projects I would benefit from it. Please order. You won't be sorry. "Oh my heck! This stuff is fabulous"
COMMENTS: I've been using this straight on my hands and just love it. I put some in some soap this morning... just wish I knew more about the ingredients to better calculate the soap and fatty acid properties in SoapCalc. SoapCalc doesn't accept vegetable oil as an ingredient, so I just had to guess at it. I think I'm going to make some whipped body butter with it too. COMMENTS: I am head over heels in love with this stuff. Sometimes I just open the jar and sniff it. It melts right into my skin and I don't even want to share it with my customers. Definitely a winner in my book. COMMENTS: I tried a sample of this to see if it would make a difference in my Coffee scrub; I really like the extra smoothness and aroma that it brought out. Not sure if it increases the efficacy but I love the feel and smell! COMMENTS: Bought this to use in a coffee body polish and love the smell and feel of this product. COMMENTS: Oh I love this butter! Smells just like a cup of coffee. COMMENTS: I love this butter and use it in a wide variety of products! Terrific for lip balms and lotions! The scent is delightful too, smells just like freshly roasted coffee! COMMENTS: You will not believe the wonderful natural coffee smell of this luscious butter. A favorite of my coffee loving customers. COMMENTS: This coffee butter was wonderful to work with. The consistency and workability and oh the aroma. Made my sugar scrubs smells soooooo good. It gave my product a wonderful coffe aroma without being too overwhelming. I loved working with it, will definetely be back for more. COMMENTS: I use this as an additive in my soaps. It gives a wonderful coffee smell as well as great qualities for the skin! COMMENTS: I purchased this to use in a recipe for a body butter. Suffice it to say, I am having to reorder for that purpose because this IS MINE MINE MINE!!! All by itself! Straight from the container!!! Cannot get enough of it!!! Best butter I've found that simply refuses to let me turn it loose! hahaha MINE! COMMENTS: Wow, this smells just like a fresh cup of strong coffee! I have used it as a lip balm just by itself, and it is smooth and creamy and smells great. I bet this will be even better with some chocolate scent or flavor in it, so that is my plan to try next. Very impressed with the butters from this company! COMMENTS: This product I kept for myself!! Remember anything you place on your skin will be absorbed by the body within 26-28 seconds. If you like coffee this is a dream!! No need to carry around coffee candy to give you a little boost in the afternoon, just wash you hands and use as you would a body cream. Honestly I can't recall why I bought it, but I sure am glad I did.......this is Heaven in a jar. Now to buy more, package, and sell it!! Goes on the skin nice and smooth, and doesn't leave the skin greasy feeling. COMMENTS: This smells just like a strong cup of coffee. Works well in coffee scrubs. Nice soft butter. "The Best Part of Waking Up...."
COMMENTS: ... is Coffee Butter in my lotion bars! I added this to my cafe latte, copper, and brown mica shimmer sticks. The scent reminds me of waking up every morning to a nice fresh pot of coffee brewing and that perks me up, even in the middle of the day. COMMENTS: Smells like heaven in a jar when you first open it! I used this for the first time in my CP soaps for my utility coffee neutralizing soap. I usually don't scent it, and with this coffee butter (that I used to superfat 5% at trace) I still have a residual scent without a fragrance oil! Love it! "Makes an irrisistable sugar scrub"
COMMENTS: I use this in my coffee themed sugar scrubs. My customers go crazy for it! The smell alone is intoxicating, not to mention the anti-cellulite properties of the caffeine. COMMENTS: Coffee butter is so expensive and you never know what you're getting. With this it is quality product I trust in using in my items. COMMENTS: Used in a HP soap in place of shea butter. Smells like coffee, behaves like shea butter. It was a nice extra touch to my coffee soap. 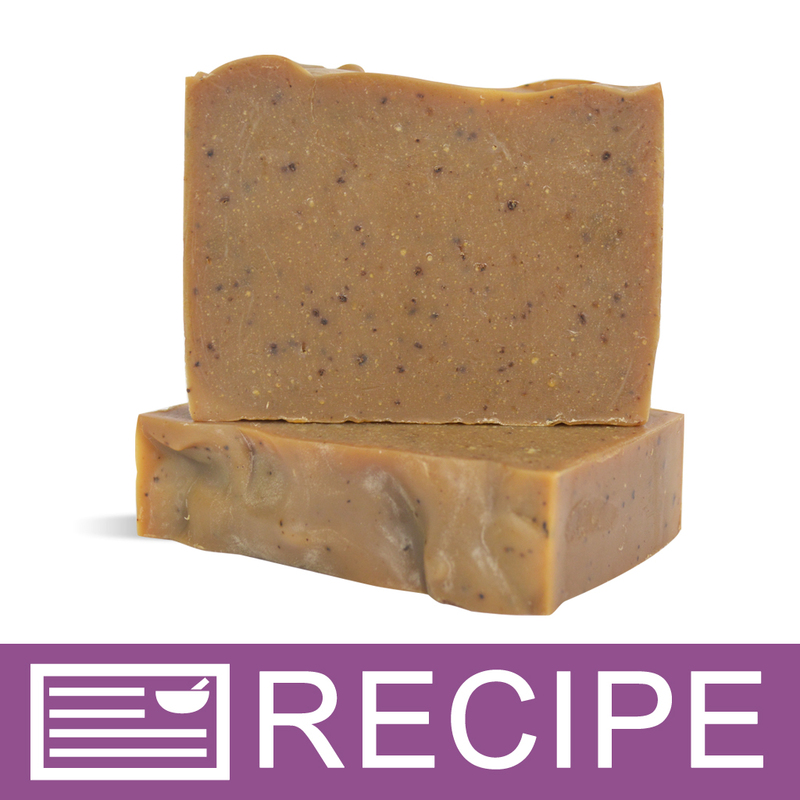 I also added coffee grounds - this soap is good for using in the kitchen to get the smell of fish, garlic, or onions off your hands. "Can I use Coffee Butter in bath bomb recipes by substituting it for shea or mango butter? If so, would it be the same ratio?" Staff Answer You can substitute coffee butter in the same ratio. "I was looking to add this into a scrub with sugar and coffee grounds. Would I need a preservative? " Staff Answer We always recommend using an anti-oxidant such as vitamin E but if there may be possible water contamination from using in the bath or shower, we would recommend adding a preservative. "What type of vegetable oil base is this made from ? Also,is the coffee oil used an infusion type base?" Staff Answer This is proprietary information and we are unable to obtain this from our supplier. "What is the SAP value of this coffee butter blend?" Staff Answer This information is listed under "Additional Information" for this product - SAP Value: 175-200, NaOH .132, KOH .186. "I read the questions below and I too have a question about the coffee butter. I want to make a smaller batch to test first but don't want to make a 40oz loaf. The lye calculator does not have this blend. Is there anyway of breaking this down in size if you don't want to make a full loaf as listed? If so, please provide recommendations. Thanks - I guess I could just half the entire recipe as an option. " Staff Answer We recommend finding an ingredient with the same or similiar SAP Value as the coffee butter for the lye calculator. "As this is made from coffee oil, how do I figure out how much caffeine is in it? Customers that have to monitor their caffeine intake should know how much caffeine they are rubbing on their skin. Thanks so much"
Staff Answer Coffee Oil is one of two ingredients that make up this product. It is listed first and although we cannot give you an exact percentage because the blend is proprietary, you can be sure that it is over 50% of the product. "Is this considered all natural?" Staff Answer The average person considers this natural and processed. This butter consists of Coffea Arabica Seed Oil and Hydrogenated Vegetable Oil. Coffee Arabica Seed Oil is natural. Hydrogenated Vegetable Oil is processed. The vegetable oil itself is natural, but hydrogenation in simple terms means hydrogen atoms are added to the oil slightly altering its natural form. Staff Answer The ingredients are Coffea Arabica Seed Oil (and) Hydrogenated Vegetable Oil -- so this would be a vegan friendly product. "when it comes to a butter or oil blend like this, can do I label my product since I don't know the percentage of each ingredient. thank you! " Staff Answer We would be happy to help you properly list the ingredients on your label. You will need to contact our customer service department and provide a full list of ingredients in your formula with the percents at which they were used. We can then provide a correct ingredients list for your formula. "I'm playing around with the lye calculator to see about making a recipe with coffee butter in it. I dont see it listed as one of the ingredients. Can I substitute coffee bean oil instead into the calculator? If so, would this be the green oil?" You should never use substitutions to get a result using the lye calculator. Oils and butters are not interchangeable in this case. "Does this butter have a strong coffee smell? " Yes, the coffee scent is quite pronounced in the coffee butter! Although great when you NEED a strong coffee scent. It's a strong (but very nice, if you like the smell of coffee) coffee odor. I've used this butter in CP coffee kitchen soap, to which I also added coffee FO, coffee grounds and brewed coffee made with distilled water (lye/water mixture). It's a very nice butter that I'm trying to work in to additional formulations.